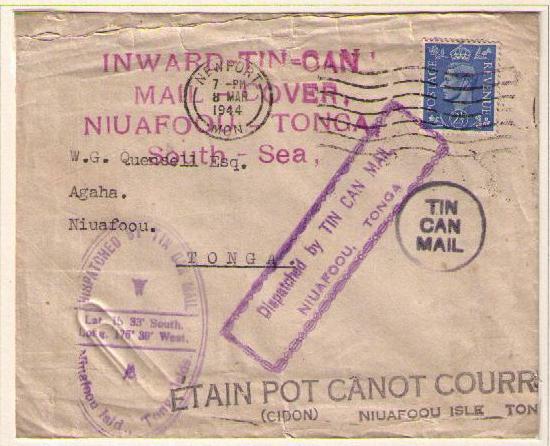 Tonga is an archipelago in in the South Pacific Ocean comprising 176 islands, Since the tiny volcanic island of Niauaf'ou lacked a beach and a harbour, mail was originally transferred from passing ships via tin cans to swimmers who brought the mail ashore. In the 1930s, a swimmer was killed by a shark and the mail was then collected by outrigger canoe. 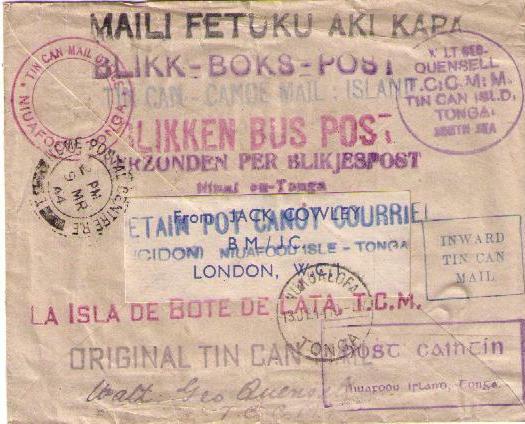 Walter Quesnell of Tonga arranged to provide "Tin Can Mail" covers to passing ships and philatelists world-wide. It is reported that over one-half million letters were mailed during Quesnell's 27 years on Niuafo'ou. A volcanic eruption brought Quesnell's enterprise to an end in 1947. The island was completely evacuated and only re-populated in 1957. 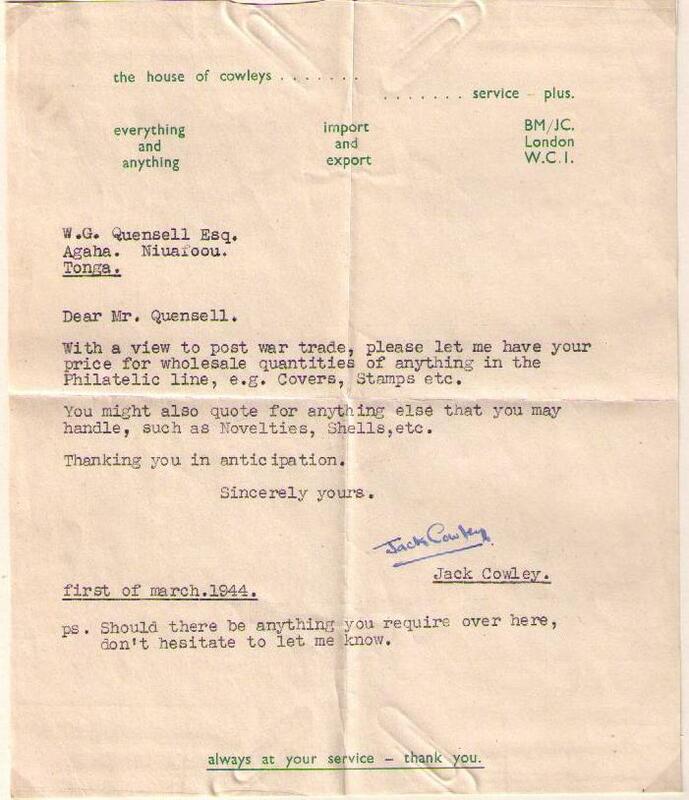 The writer of the enclosed letter requested price lists for philatelic items as well as novelties, shells, etc.